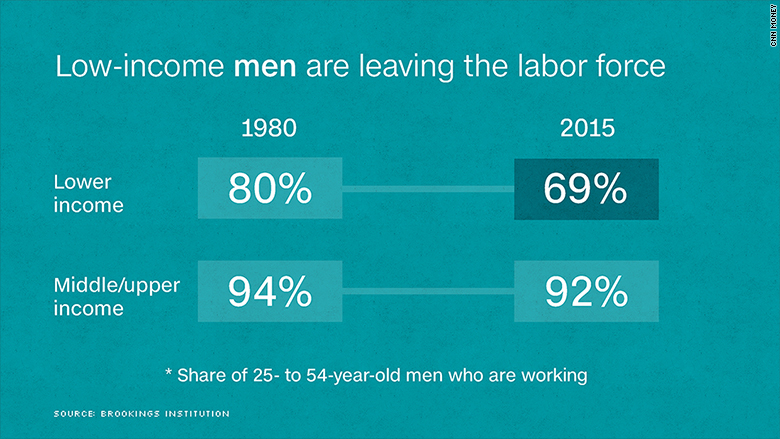 Men have been disappearing from the workforce for decades. But a closer look at the data reveals that lower-income men account for much of the change -- and that reflects a big problem with the economy. Only 69% of these men, ages 25 to 54, are employed, according to new research from the Brookings Institution. That figure was 80% in 1980. Among middle class and upper-income men, 92% are working, down only slightly from 94% in 1980. Brookings analyzed the share of prime working age men and women who are employed and then delved into the differences by income. It found that lower-income Americans are more likely to be black or Hispanic, less likely to have a college degree and less likely to be married. They work fewer hours -- only 46% work more than 40 hours a week -- and the head of the household typically earns $12 an hour. Also, they are much more dependent on government benefits and other sources of non-earned income, such as child support. This group has a median annual income of $24,000, though it may actually be higher because people often underestimate the value of the benefits they receive or income from informal sources, such as babysitting or working as a handyman off the books. Middle class and upper income Americans have a median income of $90,000, nearly all of which comes from earnings. Some 87% work more than 40 hours a week, and the head of the household typically earns $27 an hour. But there's more to it than that, says Isabel Sawhill, a senior fellow at Brookings. Gone are the days when men could graduate high school and land jobs that could support themselves and, eventually, a family. The decline in manufacturing is a factor, but many other unskilled jobs are also being automated. Think bank tellers or grocery store cashiers. Positions today often require more education and skills, which these men don't have. That's among the reasons the work gap is widening. "It seems to reflect that the economy no longer has many jobs or decent-paying jobs for this set of men," she said. When it comes to women, the trends are different but equally disturbing. Half of lower-income women, age 25 to 54, are working, Brookings found. That's about the same as the 49% who had jobs in 1980. The employed share had risen to as high as 60% in 2000, after welfare reform pushed more low-income women to work and the good economy made jobs more plentiful. But many of these women lost their positions in the aftermath of the Great Recession. 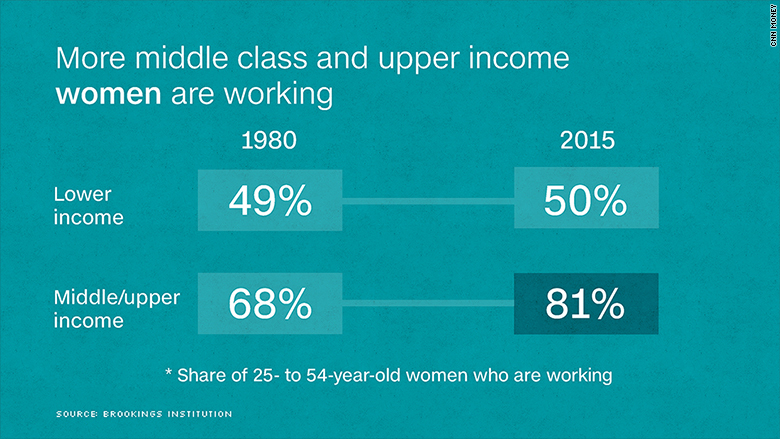 Middle class and upper income women, however, have enjoyed a big jump in employment over the past 35 years. Some 81% of them now work, up from 68%. More of these women are going to college and among married couples, it's more common for both husbands and wives to work. 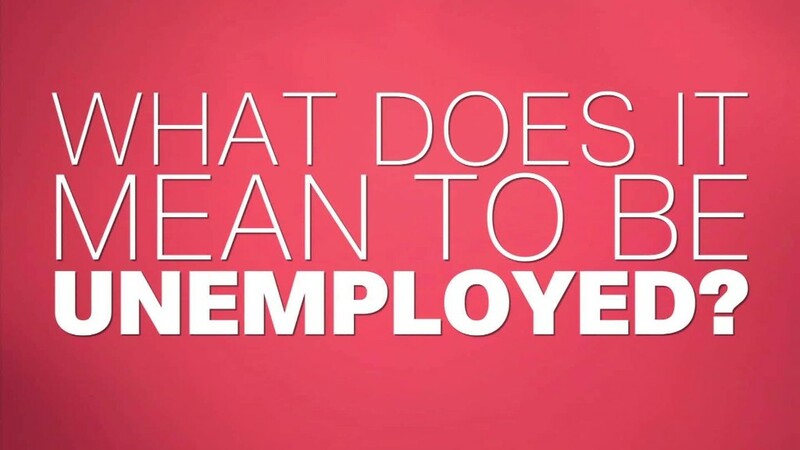 In fact, it's often necessary to maintain a middle class or upper income lifestyle. "Having two paychecks is essential," Sawhill said. By far, the most common reason women say they can't work is because they have to take care of their home or family. This is largely a failure of the nation's social policies, including affordable child care and paid family leave, according to Brookings.